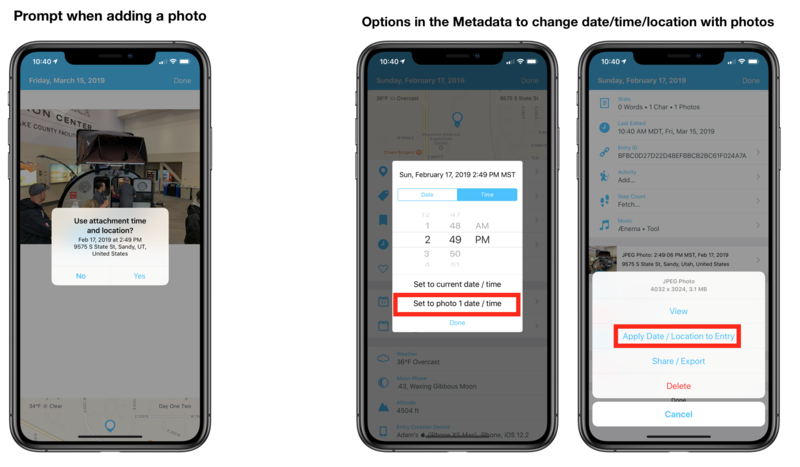 It's possible to use metadata from photos to set the date and location for your entries. This is particularly handy when you want to just snap photos on vacation, then write about the moment later. 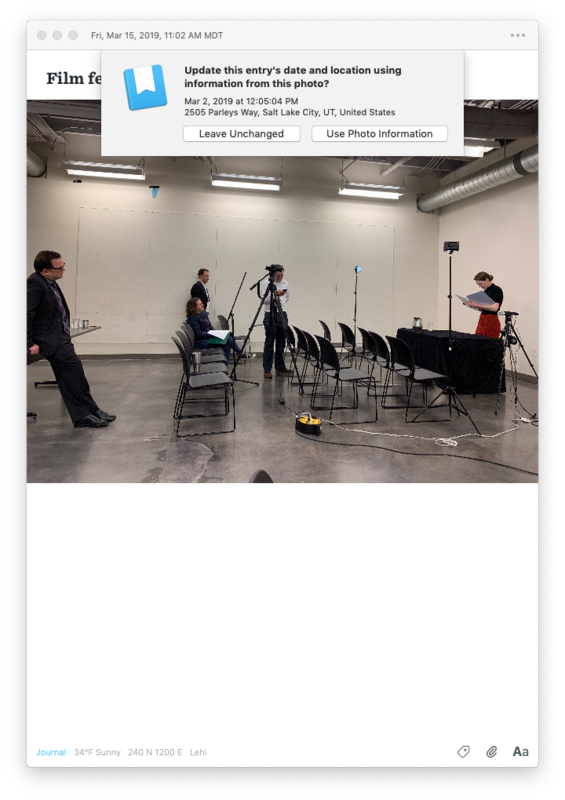 Generally, when you add a photo with location metadata there will be a prompt to use this information for your entry when you add it. There is also a manual option to set the entry date/time/location to match what is in the photo. Choose the option to apply photo info to the entry. 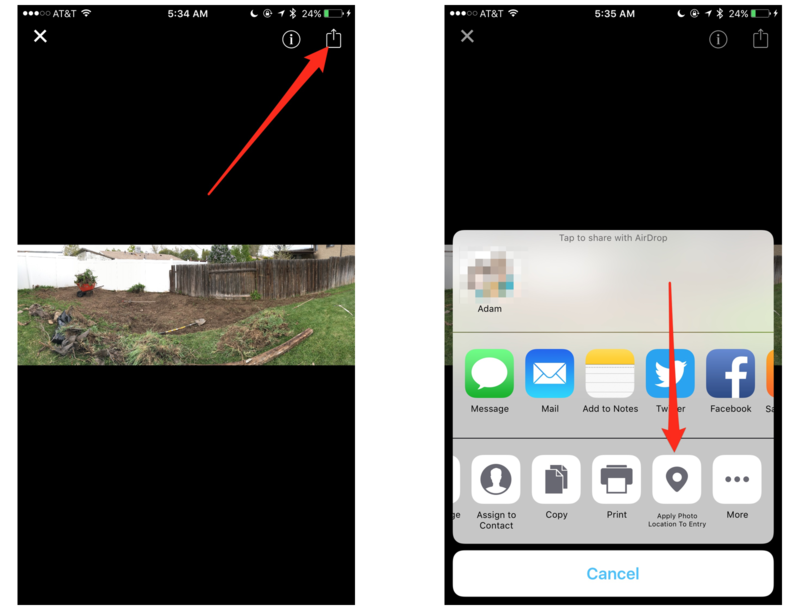 Here is another option to set the location with Photo information. Tap the photo to view full screen. Choose Apply Photo Location to Entry. 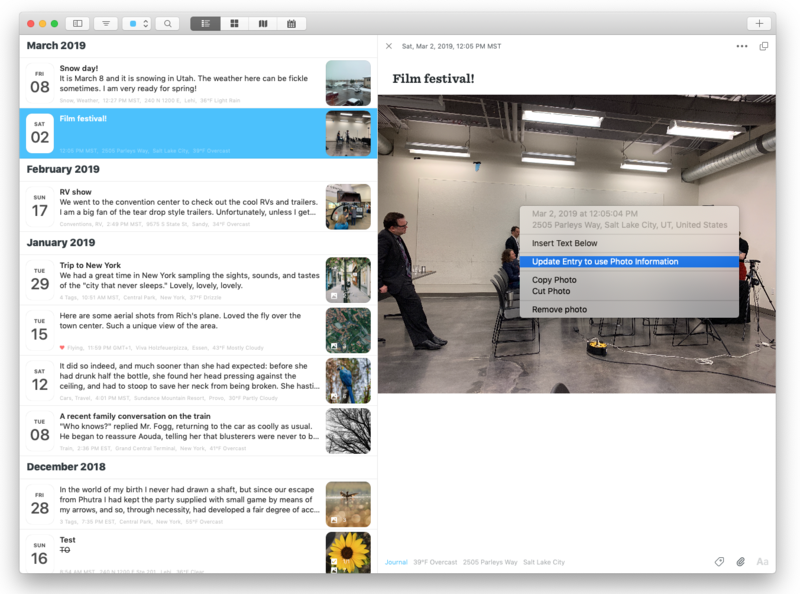 Drag in a photo or add a photo using the paper clip icon to an entry and use the prompt to adjust the entry information. Right-click (or Control+click) a photo in an entry and use the contextual menu to apply date/time/location information to the entry.